Tonight HJ’s British Hairdressing Awards, sponsored by Schwarzkopf Professional, created 16 new winners, changing their lives and professional careers forever. For over thirty years these awards have been globally raising the profile of the professional hairdressing industry and now the best in this creative industry have been named for 2015. Hosted by David Walliams and Executive Director of Hairdressers Journal International, Jayne Lewis-Orr, 15 winners, alongside Darren Ambrose who won the ultimate accolade of British Hairdresser of the Year 2015, celebrated their success in style. The iconic photographic competition invites hairdressing professionals and artistic teams from across the country to create a collection of eight images that showcase their creativity and technical ability. Entrants are able to choose from regional and specialist categories including Afro, Artistic Team, Avant Garde, Men’s, Newcomer and Schwarzkopf Professional British Colour Technician of the Year. The finalists came together with previous winners, household names and industry icons at the esteemed event held at The Grosvenor House, a JW Marriott Hotel. The Hall of Fame welcomed three new members - Philip Bell, Bruno Marc Giamattei and Jamie Stevens, each having won their respective category three times. Setting the tone of the evening, David Walliams welcomed the guests before getting the highly anticipated awards ceremony underway. Once the nine regional winners were announced, the audience were treated to a capsule set from XFactor winner and chart-topping singer Ben Haenow. 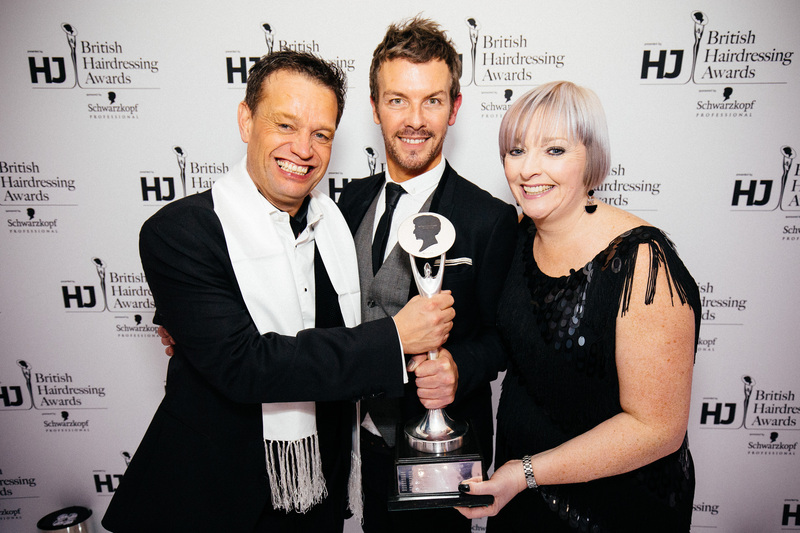 The specialist categories were then revealed and celebrated, prior to individual catwalk shows presented by each of the seven British Hairdresser of the Year Nominees before Darren Ambrose was announced as HJ’s 2015 British Hairdresser of the Year. The party continued into the small hours as the industry toasted its success.